Val & Kar rent a car company offers you cars (manual and automatic transmission), vans, 4x4, passengers transfers in Veliko Turnovo and surrounding areas 24/7/365. We can support you with the vehicle you need depending on your needs and requirements starting with a small town car, moving further with economical rental cars, vans and coaches for all sorts of transfers, business cars, SUVs etc, protected with fully comprehensive insurance . The safety of our trip is guaranteed by our mechanics, who take everyday care for the vehicles. Minimum rentalperiod is 3 days. Delivery And Collection car to / from / - Veliko Turnovo - 40 € / 20 €. Depending of the Distance. 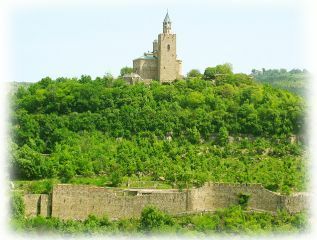 Tsarevets is a mediaeval stronghold in the old town of Veliko Turnovo in Central Northern Bulgaria and it is one of the most important historical objects in Veliko Turnovo, and very attractive sightseeing for the tourists. 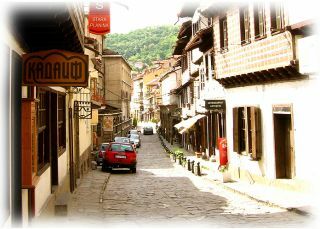 Veliko Tarnovo has been the capital of Bulgaria during the second Bulgarian kingdom. 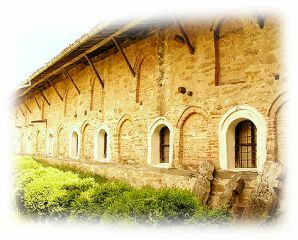 It served as the Second Bulgarian Kingdom's primary fortress and strongest bulwark from 1185 to 1393, housing the royal and the patriarchal palaces, and is a popular tourist attraction. The Sound and Light audiovisual show is an attraction carried out in the evening that uses three lasers, variegated lights, dramatic music and church bells to tell the story of the fall of Veliko Turnovo to the Ottomans, as well as other key moments of the history of Bulgaria. The large-scale show has been organized at Tsarevets since 1985, when the 800-year anniversary of the Uprising of Asen and Peter was celebrated. It was designed and planned by a Bulgarian - Czechoslovak team led by Valo Radev and Jaromir Hnik. 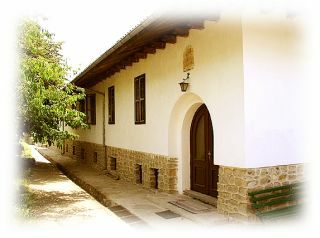 In the second half of the 19th century, when Velico Turnovo began to grow to the west of Bajdarlick Square, the Samovodska Charshiya developed as an economic centre. Women from the nearby village of Samovodene used to come in on those market days, put down small rugs before them, pile their vegetables on them and begin to sell them. This is where its name came from, the Samovodene Market, Along the pavements from the bakery to Hadji Nikoli's Inn village women from Belakovets sold milk, butter and cheese. On market days it was one of the most animated places in the town. It consisted of two streets bordered by shops, craftsmen's workshops, and inns. One of them began at a small square known as Oun (flour) Pazar (today Samovodska Charshia Square), and continued along the street which led to the Dryanovo Inn (at the place of the "Modern Theatre" Cinema, recently demolished). There were many other inns hereabouts, those of Hadji David and Hadji Veliko Turnovo, Atanas Yonoolou's and Hadji Nikoli's, a grocer's shop, a sandal maker, blacksmith and other craftsmen's shops and workshops.